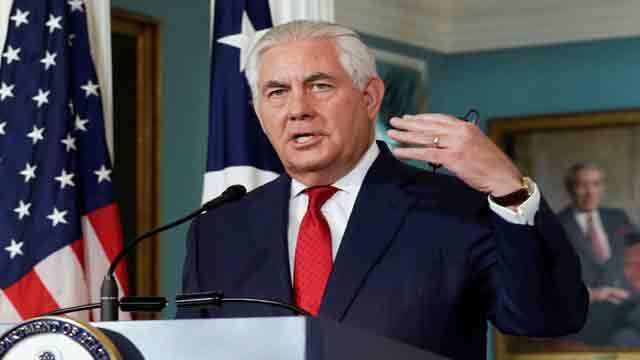 Washington, Feb 1 (Just News): The US secretary of State Rex Tillerson congratulates Tom Shannon on his distinguished career, a record of service that spans almost 35 years. His time was well spent. Tom’s counsel has been well received over multiple administrations. I particularly appreciate his depth of knowledge, the role he played during the transition – as Acting Secretary of State during my confirmation and later as Acting Deputy Secretary – and his contributions to our strategy process over the past year. Tom has served his country at home and abroad. At each post, he has also served his colleagues. Tom exhibits a devotion to service that has and shall continue to inspire State Department colleagues. As he refocuses now on family, I wish Tom and his wife Guisela a happy and healthy retirement.